Interested in being featured? 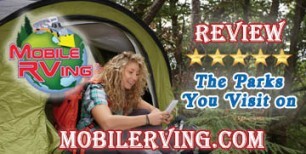 "Click Here"
MobileRVing PodcastMobileRVing's Podcast Reviews some of THE BEST RV Resorts and Campgrounds in THE USA!River Ranch (Lake Wales, FL)Wow what an amazing place centrally located near all the things a family could ever want to do. Listen to this amazing RV destination!MobileRVing The MobileRVing Podcast interviews TOP RV and camping destinations for a community of outdoor enthusiasts! originaldate 1/1/0001 6:00:00 AMwidth 773height 744Desert Aire (Indio, CA)Small Footprint Living in an engaging community. This 55+ resort doesn't leave out beautiful vistas either.Frandy Park Campground (Kernville, CA)Fun in the High Desert. Load up those fifth wheels and travel trailers and enjoy family fun among the sequoias at Frandy Park Campground!Yogi Jellystone Park @ Daddy Joes, Tabor City, NCLast podcast was 2 years ago and my oh my the good things that were added to this park. Listen to Rebecca Murphy explain what enhancements have been made to this epic North Carolina park! Valdez KOA (Valdez, AK)Learn about Alaska's FIRST KOA! The sights the sounds of Alaska's frontier. A definite must book. Georgia Mountain Fairgrounds (Hiawassee, GA)Brian McGuinn speaks with Hilda of Georgia Mountain Fairgrounds. Talk about a place to have some fun camping!San Diego KOA (San Diego, CA)Clint Bell of the San Diego KOA talks about all of the new features this prolific west coast resort is installing.Mesa Verde RV Park (Lubbock, TX)MobileRVing meets with Pat Clay of Mesa Verde RV Park. A hidden gem for sports enthusiasts and Buddy Holly fans! Yonah Mountain Campground (Cleveland, GA)Brian McGuinn interviews Missy of Yonah Mountain Campground, a must see GA destination that the family will enjoy. Want to know what Yonah means.....? Listen here! Creek Fire Motor Ranch PREVIEW~ (Savannah, GA) YOU'VE HEARD IT HERE FIRST! The newest addition to Savannah Georgia is Creek Fire Motor Ranch due out the Summer of 17! Hear about all of the fun, family friendly amenities in store for opening day!Emerald Desert RV Resort (Palm Desert, CA)Imagine the combination of thirty-three picturesque acres, luxuriously detailed amenities and the comfort of the warm desert air. A deluxe desert oasis, Emerald Desert RV Resort features brightly colored landscapes, an exquisite putting green and panoramic mountain views. Neighboring attractions include the thrilling Palm Springs Aerial Tramway, expert golf courses and more..Nevada Treasures RV Resort (Pahrump, NV)Want to see Death Valley in style? Visit Nevada Treasures RV Resort! Only 60 miles from Las Vegas and right next door to all of the beauty of Death Valley. With over sized spaces, fitness centers, restaurants and activities, you will be in for a treat! The Scenic Road RV Park (Quartzsite, AZ)Quartzsite is a well known destination to RV Travelers. Known for its beautiful desert vistas and unique flora, it's a must see! Today Brian McGuinn meets with Shawn of The Scenic Road RV Park to discuss all of the new updates this park has and why you need to book for next January NOW.Sleepy Hollow Lake Campground (Akron, NY) Sleepy Hollow Lake Campground should be a resort! With regular events geared toward the family, this campground boasts cabins, primitive sites and spots for any sized RV! This is a New York Special! Hill Country RV Resort, (Medina, TX)Brian McGuinn interviews Karen of Hill Country RV Resort. This amazing resort boasts beautiful hill country views and unique wildlife that you would typically only find in zoos. Bring your rallies too because this resort has a rec hall that fits the masses! Powder Horn Resort (Old Orchard Beach, ME)Brian McGuinn interviews Jason of Powder Horn RV Resort in Old Orchard Beach, Maine. This FULL BLOWN resort boasts heated pools, mini golf and more!Elkhorn Campground (Frankfort, KY)Brian McGuinn speaks with James Sutherland of Elkhorn Campground, a place at the end of the "Bourbon Trail" that is full of fun, family oriented events. Also hear about the fish they are catching right at your very own site! Yogi Jellystone, (Tabor City, NC)Visit a family favorite! Daddy Joe's, Yogi Jellystone in Tabor City, North Carolina! Where you have everything under the sun including spectacular memories!Outdoor Adventures, MichiganBrian McGuinn speaks with Jason King and Deanna Campbell of Outdoor Adventures. 7 locations, 7 unique Michigan experiences, you do not want to miss out on this interview!Johnson Creek 10 10 10 (Ingram, TX)Brian McGuinn speaks with Tom of Johnson's creek, a 10 10 10 park by Good Sam and Winner of Best Small Park in Texas by the State Association. James H Floyd State Park (Summerville, GA)Surrounded by rural countryside and the Chattahoochee National Forest, this quiet park in northwest Georgia offers outstanding fishing on two stocked lakes. Visitors can hike along three miles of lake loop trails and relax in swings while watching for the many bluebirds that live in the park. The trailhead to the scenic 60-mile Pinhoti Trail is only a 1.6-mile hike away.Golden Village Palms - Truly a Golden Experience!Host Brian McGuinn visits Michael Carle and his award winning team at one of Sunland's finest resorts, Golden Village Palms in Hemet California. SO MUCH TO DO SO LITTLE TIME! !All About Relaxing RV Resort (Mobile, AL)Wouldn't you like to get away to Southern Alabama? Well why don't you go where everyone knows your name? Brian McGuinn talks to Angela Law about her new, 100% transitional Garden of Eden in lower Alabama.Hid N Pines (Old Orchard Beach, ME)Brian McGuinn speaks with Megan of Hid N Pines, a quiet traditional Maine camping experience. This Campground is only an 8 minute walk to one of Maine's most popular beaches. When you are there, don't forget to ask for cinnamon rolls!Rancho California RV Resort Brian McGuinn speaks with Candace Williams, Brian Boersma and Kim Baca of Rancho California RV Resort AKA the Bermuda Triangle, once you cross it, you never leave!! Palmetto Shores RV Resort (Summerton, SC)We revisit Palmetto Shores where Linda Joyce tells us about all the NEW amenities and why you want to enjoy Marion Lake at her resort.Fisherman's Cove - (Palmetto, FL)Brian McGuinn interviews Brenda Carson of the exclusive Palmetto, FL resort that boasts amazing views of Tampa Bay!Alaskan Anglers RV Resort (Ninilchik, AK)Alaska, the last frontier... Brian McGuinn talks with Felicia Baker with the Alaskan Anglers RV Resort, where you truly can experience Alaska at it's finest!! !Degray Lake Resort State Park (Bismark, AR)Join Brian McGuinn as he interviews Dru Edmonds of Degray Lake Resort State Park, one of the Natural State's finest parks! Suwannee Valley Resort (White Springs, FL)Brian McGuinn Interviews BG of Suwannee Valley Resort, one of Florida's leading nudist campgrounds. Lake Bistineau State Park (Doyline, LA)Brian McGuinn interviews Lake Bistineau's Justin Matherne to discuss this historic park.Sky Valley A Desert Oasis (Palm Desert, CA)Brian McGuinn interivews Seth Harper of Sky Valley Resort, an amazing activity rich location that has plenty of SUN, FUN AND COMMUNITY! Southern Trails RV Resort (Unadilla, GA)The MobileRVing podcast is headed to Central Georgia to talk to Southern Trail's Debra Sinyard about her family friendly fun RV resort!Cloudland Canyon (Rising Fawn, GA)Cloudland Canyon has some unbelievable sights to see! Join Brian McGuinn and Randall Meeks to learn more about this spectacular property!Camp Shiloh Lutheran Retreat (Pittsburg, TX)Brian McGuinn speaks to Pastor Wayne Fischer of Camp Shiloh Lutheran Retreat, a place where you can enjoy the creator's creation with beautiful wooded views, fishing, cabins and fun! Antler Oaks Lodge (Bandera,TX)Welcome to the Cowboy Capital of the World, Bandera, Texas! Brian McGuinn Speaks with Tom of Antler Oaks Lodge a resort that takes your Texas stay to a whole new level! You won't believe some of the amenities here!! !Jellystone Sturbridge PodcastInterview with James Leaming, 2013 Operator of the Year, at Jellystone Sturbridge Massachusetts Campground.Palmetto Shores RV Resort Brian McGuinn talks with Linda Joyce about why her resort is not only a sportsman's paradise but a true southern experience! Buckhorn Lake ResortBuckhorn Lake Resort InterviewTraverse Bay RV Resort a Traverse City ExperienceTraverse Bay RV Resort located in Traverse City, Michigan has sports, world class events and beautiful landscapes. Country Roads Motorhome & RV ParkBrian McGuinn interviews Terry Michael about why Country Roads Motorhome & RV Park is perfect for "older kids"Santee Lakes an Award Winning CampgroundSantee Lakes winner of two very prestigious awards for Campground Excellence. 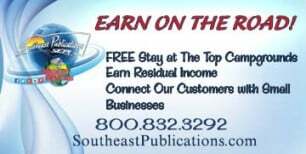 Brian McGuinn interviews Jonathan Skinner to get the scoop on what separates his park from the rest.Travelers Rest ResortInterview with Randy Doell from Travelers Rest Resort in Dade City, Florida. Travelers Rest is rated a Woodall's double five star resort.Don Carter State ParkSoutheast Publications interview with Will Wagner from Don Carter State Park in Georgia. One of the newest Georgia State Parks. Lifes a Beach, Ocean Lakes CampgroundBrian McGuinn interviews Barbara Krumm from Ocean Lakes Campground.Barbara talks about the history and beauty of Ocean Lakes, located on the beach in Myrtle Beach , SC. Ocean Lakes was the 2012 National RV Park of the Year.Alamogordo White Sands RV ResortInterview with Alamogordo White Sands RV ResortSilver Lakes PodcastInterview with Shelly Freshwater of Silver Lakes RV Resort and Golf ClubSalt Lake City KOAVicky Orme of Salt Lake City KOA talks about what it's like being in Salt Lake City and all of the cool stuff to do in town.Long's RetreatBrian McGuinn interviews Long Reatreat's Brya Long. This resort caters to all campers from primitive to RV to cabins. Suwannee River Rendezvous ResortSusie Page of Suwannee River Rendezvous Resort.Pelican Lakes MotorcoachInterview with Shelly Longwater of Pelican Lakes MotorcoachBig Chief RV ParkInterview with Alan Warren of Big Chief RV Resort in Burnet, TexasJames Island County Park PodcastSarah Reynolds with James Island County Park. Mustang Hollow - Ancient Texas! Brian McGuinn interviews Mustang Hollow RV Resort and Campground. Find out about their ancient archeological dig and other epic landmarks! This is a PODCAST YOU DO NOT WANT TO MISS! !Crooked River State Park, Georgia! Brian McGuinn visits Joe Bradford of Georgia's unique park located on the Colonial Coast. See an ancient forest filled with wildlife or picnic next to the shore and watch bottlenose dolphins pass you by! Wilderness RV Resort Central Florida at its BEST!Brian McGuinn talks with Matt Smith about this one of a kind Resort nestled next door to the Ocala National Forest, a place where monkey's now roam! Holiday Park CampgroundBrian McGuinn interviews Jordan and Steve Hall about their amazing Traverse City Resort. Been to the Cherry Festival anyone?? ?Savannah South KOA - Georgia on our mind!Brian McGuinn interviews Melissa Edmonson of Savannah South KOA, the closest KOA to Tybee Island, with historic Savannah tours ready at their front door!! Lake Pines RV Park, Experience Columbus GA.Like Bluegrass music? Well you need to go to Lake Pines RV park! Brian McGuinn speaks with Andy Gilbert and Connie McCuthchen about their rally ready park in historic Columbus. Marina Village ResortShannon from Marina Village Resort explains why you need to hit the road and get away this November to Trinity Texas. RV Village in West Richland, WashingtonBrian McGuinn interviews Jason Griffin of RV Village a tremendous resort in the tri-cities area. Also home of the STARS! Want to Go to Myrtle Beach?Apache Family Campground is interviewed in this episode. A Destination Resort that caters to all kinds of travelers. Location cannot be beat right on the shores of the beautiful Atlantic Coast!Van Horn RV Park (Van Horn, TX) Looking to go enjoy open spaces where the stars at night are big and bright? Well, deep in the heart of Texas is Van Horn RV Park, a place that boasts large spaces that are 100% pull through and fully hooked up!Sunset Springs RV Resort (Bucyrus, OH)Only one hour from Columbus, OH this family fun filled resort has water access that you wouldn't believe and best of all, Family Olympic Contests where the winners receive free camping!! WOW!Salt Lake City KOA (Salt Lake City, UT)Vicky Orme talks about their KOA and all of the new improvements that are on the horizon and should be ready for this season. Spoiler Alert: IF YOU HAVE NOT BOOKED YOUR SITE YET FOR SEPT. DO SO SPACE IS ALMOST FULL! !Workamper's interviewSoutheast Publications work camping opportunities.